In this article, A Shade Above Window Fashions—with three convenient locations in Charlotte and Cornelius, North Carolina, and our newest location in North Myrtle Beach, SC—are here to use our window treatment industry expertise to show you how roller shades from Hunter Douglas can simplify your life. We also proudly carry the full selection of Hunter Douglas products. Hunter Douglas Roller Shades are a beautiful addition to your home or office, adding simplicity and elegance to any room. Hunter Douglas offers a variety of options when it comes to roller shades including the Sonnette™ Cellular Roller Shades and the Designer Roller Shades. Both come in a variety of customization options for you to create exactly what you want for your home. 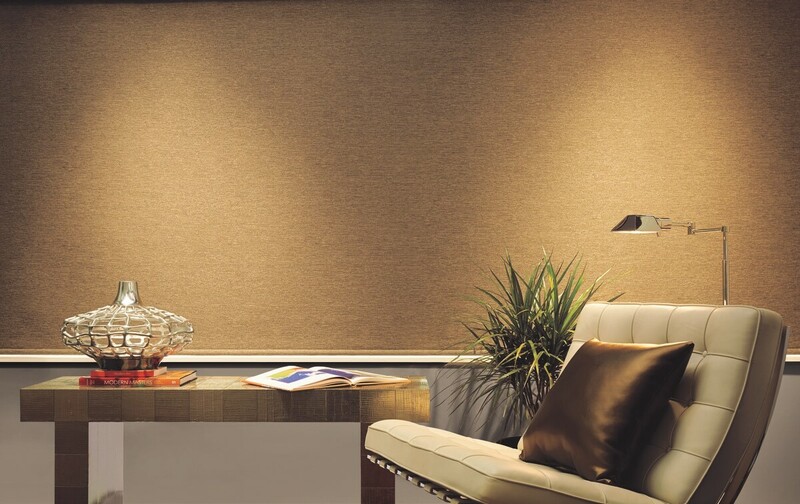 The Sonnette™ Cellular Roller Shades are the perfect example of how you can simplify your life and make it much easier. These shades have special energy-saving capabilities. The unique cellular construction of these shades traps air in its pockets, insulating your home against both cold or hot weather. This allows your home to stay the temperature that is comfortable for you without having to blast your air-conditioning or heating unit. By providing this extra insulation, these shades ultimately lower your monthly energy bill. You have less money going towards heating and cooling and can spend it on fun things in your life. Not only do they make your financial life simpler, these shades add simplicity to your décor. Their simple curved design is absolutely beautiful in any room, adding class and elegance to your home. Hunter Douglas’s Designer Roller Shades are also a stunning addition to your home. These shades are customizable in almost every aspect. You won’t lose sleep worrying that your new custom window treatments won’t match your home’s current décor just right. You can customize with over 330 different fabrics and colors, several operating systems, and a variety of top and bottom treatments. This makes life easier because you can match your fabric options to your current décor perfectly. Both of these different types of roller shades are available in a variety of operating systems, but when it comes to simplicity, you will love the PowerView® Motorization system. This system allows you to easily control all of your window treatments from the palm of your hand. You can choose from either downloading the PowerView® app on your phone or tablet or choose the PowerView® Pebble® Remote. Both options give you simple automation of your custom window treatments, making your life so much easier. You can also be happy knowing that your window treatments are covered by Hunter Douglas’s Limited Lifetime Warranty. This allows you to be perfectly comfortable with your purchase, knowing that any issue in the manufacturing of the product is covered by the warranty. A Shade Above Window Fashions is committed to helping you find the perfect window treatments for your home. If you would like to check out our amazing Hunter Douglas Roller Shades or any of our other designer custom window treatments, we would love to have you visit one of our three showrooms here in central North Carolina. We have showrooms located in both Charlotte and Cornelius, NC, making it easy for us to fully serve the greater Charlotte area. Do you have a second home at the beach, or a friend with a coastal vacation home? Our newest showroom in North Myrtle Beach, SC is the place for you to go. All of our showrooms offer a variety of products for you to view and interact with. Please call today and set an appointment to visit any of our four showrooms – we look forward to working with you.